Droog wants repairing to be the new recycling. The Dutch design firm and the crafty ladies of Humade have devised a clothes-mending kit that turns every hole, tear, or stain into an opportunity to improvise and create. Available in your choice of matte silver and gold, each “Create Me Textile” features 100 tangram-inspired shapes inspired for ironing on, plus uncut sheets to rouse your inner muse. Droog wants repairing to be the new recycling. The Dutch design firm and the crafty ladies of Humade have devised a clothes-mending kit that turns every hole, tear, or stain into an opportunity to improvise and create. 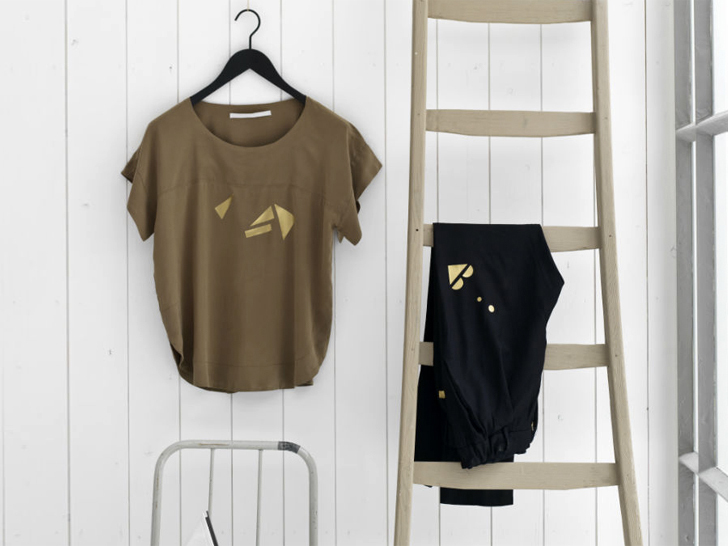 Available in your choice of matte silver and gold, each "Create Me Textile" features 100 tangram-inspired shapes inspired for ironing on, plus uncut sheets to rouse your inner muse.